Was a widely shared article on global warming “too scary”? It was in the 1980s that I first read about what was then called the greenhouse effect. The idea that we were overheating the Earth by heedlessly burning fossil fuels was both frightening and enraging. And ever since, as scientific evidence for global warming has mounted, I’ve become only more convinced of the need to decarbonize the economy. Along the way, I’ve also learned that the prospects for environmental disaster that motivated me don’t motivate everyone. And last week, the question of how to make people urgent about fighting global warming came into sharp focus with the publication of “The Uninhabitable Earth.” Journalist David Wallace-Wells’ terrifying 7,000-word essay in New York magazine tells what could happen if we continue burning carbon unabated. Citing climate experts, he writes that much sooner than we think — by the end of this century, within the lifetime of today’s children — we could be facing a planet riddled with killer heat, flooding and other extreme weather, and highly prone to disease, famine, drought and deadly smog. Plus, toxic oceans. And with whatever people who remain fighting more wars over whatever resources remain. “[N]o matter how well-informed you are,” Wallace-Wells writes, “you are surely not alarmed enough.” In An Inconvenient Truth, Al Gore quipped that global warming could lead us on “a nature hike through the book of Revelation.” But “Uninhabitable Earth” is perhaps the most dire high-profile warning in years. 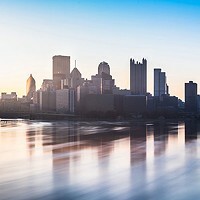 “It’s almost like he’s trying to make readers give up,” says Joylette Portlock, a Pittsburgh-based climate-change activist and educator. Portlock contends that Wallace-Wells downplays or ignores viable solutions to climate-related threats (like combating hunger by eliminating food waste). To be fair, even Mann acknowledges that scientists (professionally conservative) tend to understate the risks of climate change. And the New York article does explore climate solutions. But if its overall effect is doomy, that’s as Wallace-Wells intended. “[I]t didn’t seem plausible to me that there was more risk [of] scaring people too much than there was at not scaring them enough,” he told The Gothamist. And hey, the Ghost of Christmas Future flipped Scrooge. But fear alone won’t work here, says Gabrielle Wong-Parodi, a Carnegie Mellon University decision scientist specializing in attitudes about climate change. Getting people to address a threat requires providing both adequate warning and plan of action that’s specific and “behaviorally realistic” — i.e., prostate cancer kills, but preventive exams can save you. 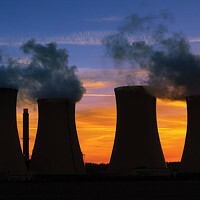 Can we fight climate change without scaling up nuclear power? 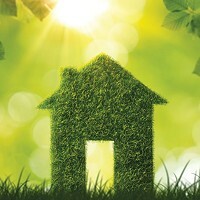 Why can’t local homeowners include “green” attributes in real-estate listings?